His furniture from scrap wood has become a staple in design. Yet apart from being an industrial designer, Eek is above all else an entrepreneur. On Strijp R in Eindhoven, he has built a world of his own. Simple, clean and stylish are three keywords that describe the Piet Hein Eek Tube D38 watches. Distinctive thanks to the metal ring with industrial look (38 mm Ø) around the dial, made of brushed brass, stainless steel or black steel. Outfitted with hard mineral glass and water-resistance up to 50m! The supple leather strap ensures that this sturdy watch is very comfortable to wear. The extruded metal ring that surrounds the dial is the eye-catcher of this stylish Tube watch that Piet Hein Eek designed for LEFF Amsterdam. The precise cutting of the ring and the chosen materials give the watch it's refined, yet sturdy and industrial character. The lovely case of this LEFF Amsterdam Tube watches D38 is made of brushed brass, stainless steel or black steel and outfitted with clear and hard mineral glass. The interior houses a reliable quartz clock of Miyota. The watch is very comfortable to wear thanks to the supple leather strap. And, moreover, it is water-resistant up to 50m! 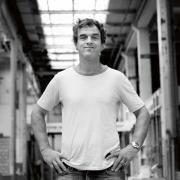 Furniture of reclaimed timber, that's what made Piet Hein Eek famous. It began in 1990 when he graduated from the Academy for Industrial Design in Eindhoven with a cabinet of reclaimed timber, that is now referred to as the Classic Cabinet in Reclaimed Timber. Eek designs and manufactures furniture, lighting and accessories and does the interior design of buildings. He has expanded his work field to architecture and the repurposing of buildings. In doing so, he is certainly not inhibited by rules or customs, which may well be the reason that Piet Hein Eek and LEFF Amsterdam work together so well. 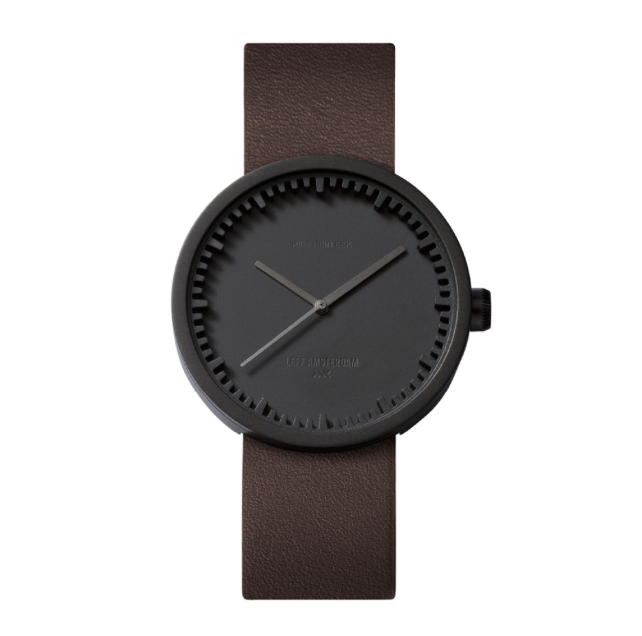 The idea for the Tube watches arose from the need to give the extruded ring Piet Hein Eek had designed as the face for the Tube timepieces a more prominent role. This ring formed the starting point for the design of the Tube watches - also explaining the name. The precise cutting of this ring and the chosen materials give the watch it's refined, yet sturdy and industrial character. 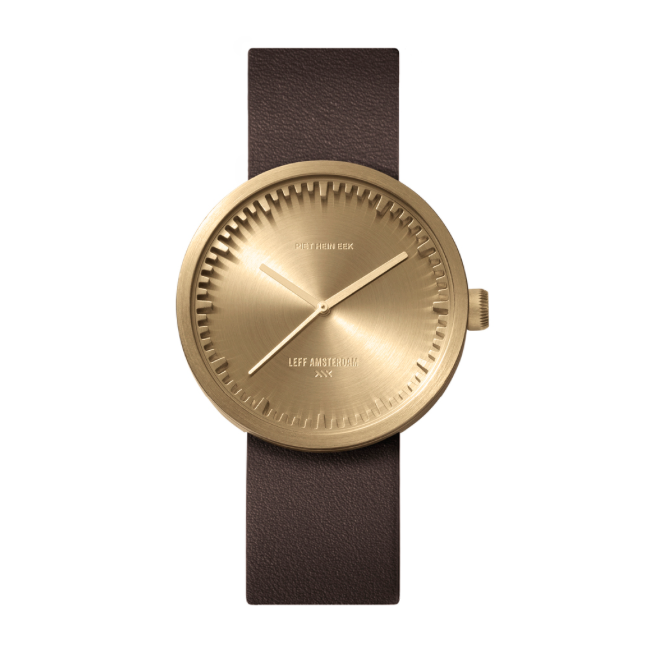 The metal and leather straps give a subtle difference in the interpretation of this iconic watch. LEFF Amsterdam was founded in 2011 by the brothers Arno and Dennis Ruijzenaars and designer Erwin Termaat. The Dutch word "Lef" (guts) is key, because who starts manufacturing clocks nowadays when the time is available almost everywhere? 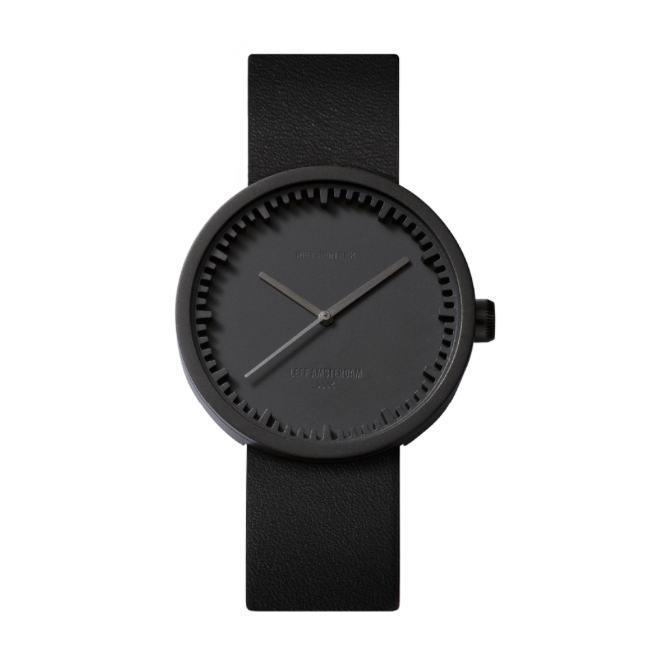 LEFF Amsterdam: that no one really needs a clock only makes it more challenging to create clocks and watches everyone simply must have. Therefore, the design is paramount, a reason for LEFF Amsterdam to collaborate with top designers such as Robert Bronwasser, Sebastian Herkner and Piet Hein Eek.